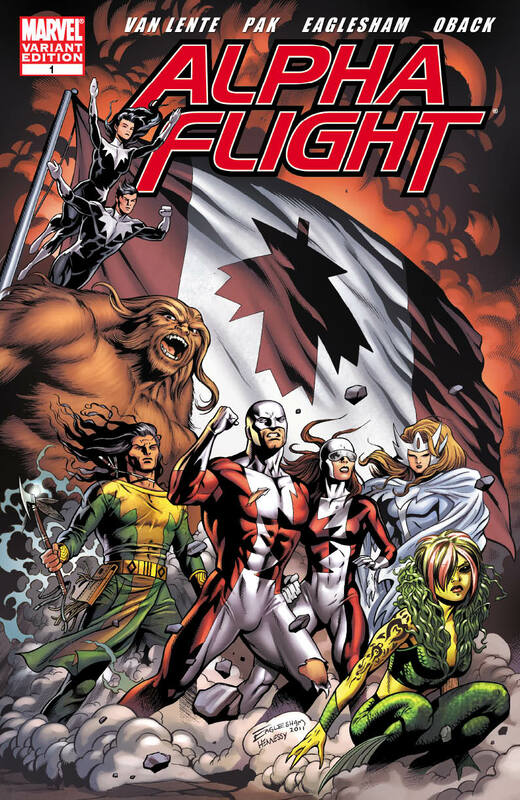 The Ottawa Citizen sat down with Dale Eaglesham to discuss the upcoming relaunch of Marvel’s Alpha Flight. After 25 years as a comic-book artist, Eaglesham is one of the biz’s renowned superstars. He has drawn everyone from Conan the Barbarian to the Incredible Hulk, but the new Marvel Comics project, Alpha Flight, is unusual because of the Canadian content. This entry was posted in 2011 Releases, Interviews, Media by Kevin A. Boyd. Bookmark the permalink.